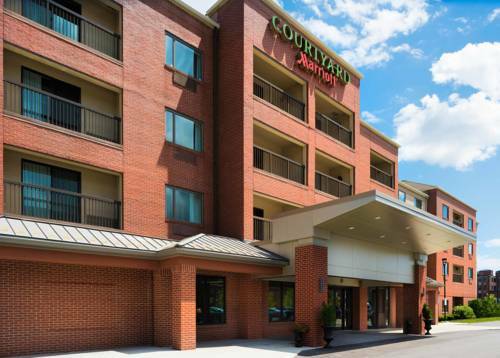 Our Courtyard Worcester is your ideal destination whether traveling for business or leisure. Take our shuttle to local area restaurants, shopping and recreation. Each of our spacious Worcester, MA guest rooms feature plush bedding, large work spaces with Ergonomic chairs and complimentary wireless high-speed internet access. Enjoy a fresh cup of Starbucks coffee and easy access to the latest news, weather and airport updates via our lobby GoBoard Our newly renovated restaurant provides guests with healthy offerings in the morning, and evening dinner and cocktail service. We feature 700 square feet of flexible meeting space and offer event planning services from our knowledgeable Sales Staff. Stay active at our 24-hour fitness center and indulge at our heated salt water indoor pool after a long day. Stay connected with our 24-hour QuickPrint Business Center. Stop by The Market, open 24 hours, for a variety of food, snacks and beverages on the go. We look forward to your arrival. Enjoy our newly improved breakfast buffet, in-room dinner delivery service, available Monday-Saturday from 5:00-10:00. - Fruitlands "The Museum of the New England Landscape"
Jerimoth Hill is 812 ft. high, Rhode Island's highest point. A cantankerous property owner once made this small protuberance a no trespassing zone -- but visits are now welcomed. Opened in 1929 and closed in 1968, the milk bottle building is empty, but in decent shape.